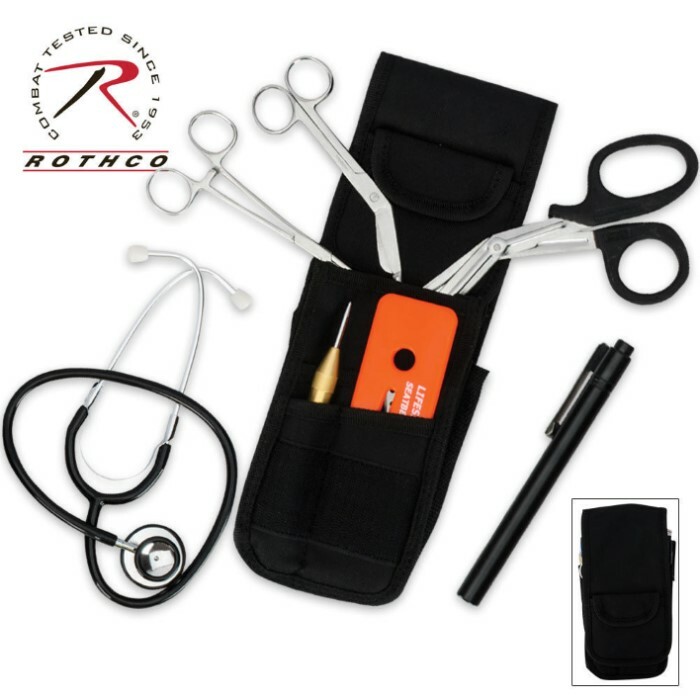 Made with Emergency First Responders in mind, this compact medical tool set with holster is an invaluable addition to your field gear. 5.5 in. straight Kelly forceps. All stored within a handy nylon holster with belt loop.